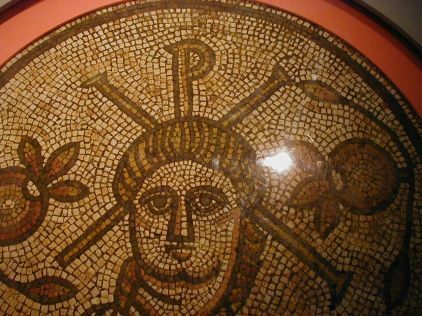 Floor mosaic from a Roman villa built before 400 in Dorset, England. Now in British Museum, London. While the craftsmanship is somewhat primitive (or provincial), that does not account for the round, chubby face or lack of beard.